Every room is uniquely decorated, some with cathedral ceilings, fireplaces, and whirlpool jacuzzis. Suites are available with up to 4 bedrooms, some with hot tubs, fireplaces, kitchens, game rooms and big screen TVs. 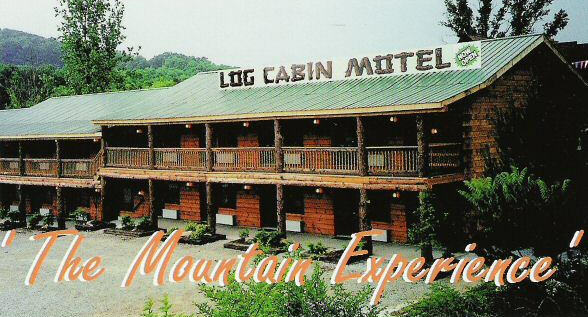 For comfortable overnight accommodations or a romantic retreat, Log Cabin Motel & Suites provides a unique lodging experience. 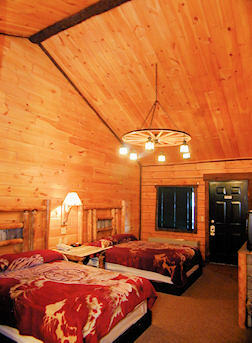 Visit the Log Cabin Motel web site for more information. With Highlands Hall reservations receive 10% off all rooms and suites at Log Cabin Motel & Suites for you and your guests.